Flu season typically runs from early October and can last into May. The Center for Disease Control (CDC) recommends healthy adults and children be vaccinated to prevent the oftentimes deadly virus from spreading. Flu-related hospitalizations since 2015 range from 140,000 to 710,000 annually, while flu-related deaths are estimated to have ranged from 12,000 to 56,000 that same year. During flu season, flu viruses circulate at higher levels amongst the US population. There are two types of flu vaccines – the flu shot and the nasal spray vaccine. The flu shot contains active flu viruses. The shot is FDA approved for children over 6 months of age, healthy people and those with chronic medical conditions. Studies show that the flu shot were more than 70 percent effective, compared to 60 percent for the flu spray. The nasal spray vaccine is also made of live, weakened flu viruses and is FDA approved for people aged 5-49 and who are not pregnant.2. 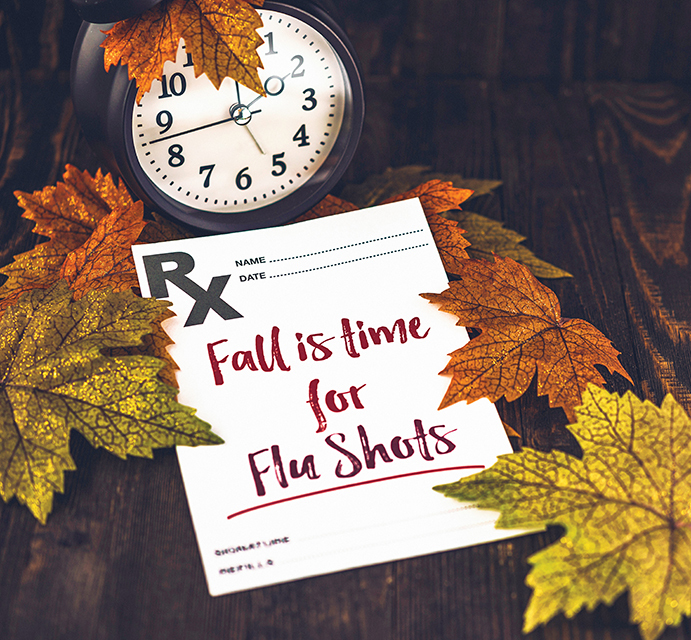 The best time to get vaccinated is before flu season begins. It generally takes about two weeks after receiving the vaccination for antibodies to develop in the body that protect against the virus. The CDC recommends that people get a flu vaccine by the end of November, if possible. Getting vaccinated later, however, can still be beneficial and vaccination should continue to be offered throughout the flu season, even into January or later. Vaccines are offered in many locations, including doctor’s offices, clinics, health departments, pharmacies, college health centers, as well as by many employers, and even in area schools. While the single best way to prevent the flu virus is by getting vaccinated, there are still lifestyle changes you can implement to avoid contracting the illness including avoid close contact with those who are sick; cover your mouth and nose when sneezing or coughing, wash your hands frequently; avoid touching your eyes, nose and mouth, drinking plenty of fluids and maintain a healthy diet.